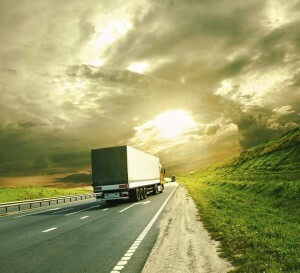 Drive off into the sunset knowing that Evan Transportation appreciates the trucking industry in the United States. Learn how you can get your holiday packages to the right destination at the right time this holiday season. The holiday season can be stress for both consumers and business owners alike. Everyone wants to get gifts on time,to the right places. During the holidays, there is already enough to worry about and the last thing anyone needs is late holiday shipping. Anytime the holidays are approaching, it is peak shipping season. When you are a business owner, you can expect your staff to work over time just to manage the holiday rush. This can make shipping operations challenging if you do not plan for the holiday season ahead of time. To make sure your holiday freight gets delivered on time, there are five things you need to keep mindful about. For starters, you need to keep your truck drivers updated on any changes to your business operations such as having a large increase in shipping volume or a major change in your operating hours. This can help the driver identify whether most of your holiday shippings will need ground shipping or not. A driver who knows when you need pickup of holiday items is one of your most important assets during the holiday season because a reliable driver will keep delivering packages until the truck is empty. With a planned route for pickup, your driver can help you make sure holiday packages arrive on time. With that said, you need to do your best to ship holiday packages early as possible. This is important especially for those who need packages to arrive within the two weeks before Christmas as the high volume comes within that time span. Note: the average ground shipment happens within 7 business days during the holiday rush, plan accordingly. Moreover you need to secure your fragile holiday items and this requires knowledge on the most effective ways to package shipments to avoid any type of en route damage. During the holidays it is more than likely for packages in shipment to become damaged as drivers are operating at high capacity. 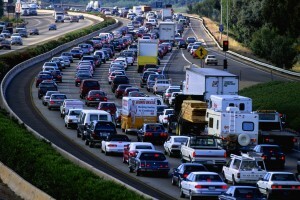 This is why it is so important to hire the right transportation service for your holiday packages. 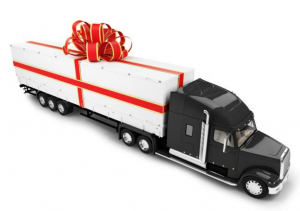 Here at Evan’s Transportation we eliminate holiday stress by being your sole shipping source, securing your packages, and getting the holiday items to the final destinations on time. We are here to advise when you ship packages so they arrive on time this holiday season. Contact us today for all of your freight shipment needs or call us at 443-673-3365. 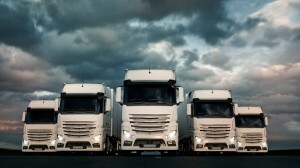 We will discuss your tractor trailer options for the freight you wish to ship. Before you hit the road, check us out on Facebook, Twitter, Google+, LinkedIn and YouTube! Baltimore is centered near the heart of the Mid-Atlantic coast. 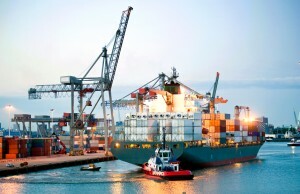 With access to the Atlantic through the port, access to the air with BWI Airport, and access to the roads with Interstate 95, it is no wonder that many freight shipping companies head to Baltimore to start a business. It is one of the many reasons why Evan Transportation placed its roots in the city in 1992. It is no secret that the schedule kept by a truck driver is a hard one. With so many long hours spent in the evening, truck driver safety can tend to be called into question due to driver fatigue. 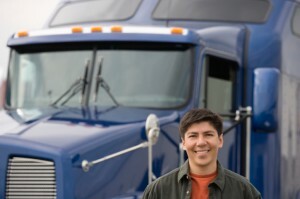 Driver fatigue can happen quickly and is known to be a major cause in many trucking accidents. In order to stay safe while on the road truck drivers must know the signs of driver fatigue and how to prevent it.